Is your car not starting or turning over, has the charging light come on on or has other starting problems – we are here to help. 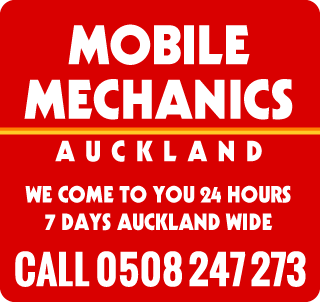 Auckland Mobile Mechanics come to you for all car repairs Auckland wide and services on alternators for all makes and models. When your car repairs are complete or new parts fitted, can also test the car battery and charging system or charging rate to ensure the battery will continue to hold a charge and start for you next time. Our Mobile technicians arrive at the place which thats right for you. We arrive fully equipped for your maintenance, service and car repairs auckland wide needs so you don’t have to organise repairs to your local mechanic’s workshop. We can schedule for your local mobile mechanic to meet you at home or at work 24 hours 7 Days so you’re back on the road as soon as possible! Car flat-out not starting at all? or Engine not turning over? New battery goes flat ? We repair from a no starting issues, brakes, dash light issues, radiators, immobilisers through to an engine overhaul and transmission repairs, services and replacements. Over 90% of repairs are done on site at a time and place convenient for you. Save money on and time – let the repair come to you. Theres no need to organise your day to suit a mechanics workshop !